So I kept seeing the commercials for these on TV and never really wanted to buy them. 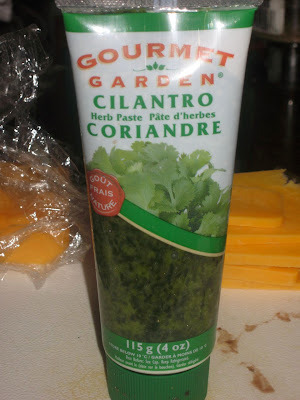 However, I needed cilantro for one of my recipes and the store was plum out. My only option was the tube or go to another store.... since they were on sale I ended up buying one. Well I would probably keep some of these in the house for herbs that I'm likely to use infrequently enough that buying fresh is counter productive. This particular tube is good for the next two months so that is good in my books. I still prefer fresh herbs however I definitely will consider these in the future!